Welcome to the Talon Mailing & Marketing March 2013 Newsletter. 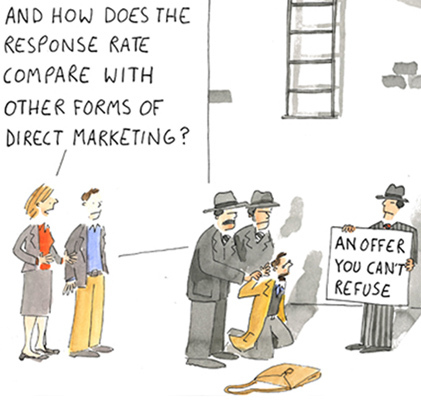 Here’s why “old school” direct marketing still packs a punch. Social media and web marketing have pushed direct mail to the back burner for some marketers, but a classic direct-mail package — using tactics and techniques tested for generations — can still be a powerful marketing tool. Classic direct mail offers a great deal, a deal so good the reader can’t resist saying yes, such as a free trial, bonus gift, special discount or a volume deal on the product (such as two for one or 15 months for the price of 12). 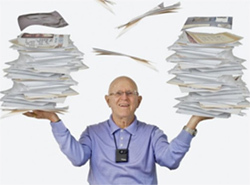 And classic direct mail is packed with information on all the ways the reader will benefit by saying yes. So the next time a marketing consultant gives you advice about reaching prospects, don’t overlook direct-mail marketing. Even in a world of electronic media, direct mail can be a high-impact way to deliver a compelling message to an individual customer or prospect and a powerful tool in your smart marketing strategy. With the real-time flow of information, the data world demands constant updating—if you don't keep up, your business data will quickly go bad. All marketers are guilty of neglecting their data at some point. We understand that numbers are important, but our competing creative side is bored with the monotony of data entry and updates. With the real-time flow of information, the data world demands constant updating—if you don't keep up, your business data will quickly go bad. When your information is out of date, your messages aren't hitting your target audiences. Leads slow down, and so does your company's growth. Zero in on what matters. With the data buffet available to marketers today, it's easy to become a glutton. The problem is the time wasted collecting, sorting and sharing irrelevant data could have been spent on refining the data points that mean the most to your customers. More isn't always better; instead, zero in on what's most impactful to your business and keep it up-to-date. This year, get the most from the Big Data buzz by defining the stats that closely tie to your business and help your team the most. Select the necessary data components and forget the rest. Once you know what information your team needs to be successful, creating guidelines and a framework for data input is a must. As you look through your databases today, chances are you have more than a few empty fields. It may not seem like a big deal, but over time standards will drop and your database will deteriorate. The best way to avoid a bad database is to understand the information needed for success and require that your team inputs the designated data when they add a new contact. In addition to new contacts, hold your team accountable for regularly updating their records. Or better yet, invest in a service that will update your information automatically through crowdsourcing. 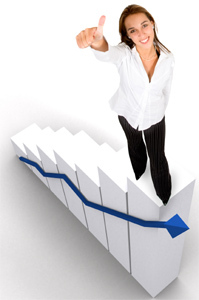 Maintain visibility between sales and marketing teams. After data points are agreed upon and baseline requirements established, making that information accessible is the next step to keep your head above water. For years information has been hidden behind IT gatekeepers. Marketing and sales teams would make requests for lists and eventually receive stale databases in a first-come, first-served manner. But now the cloud has enabled the democratization of data across departments. Sales and marketing teams can update and share information on the Web to take advantage of the most recent data possible. Data can be a difficult component of the marketing mix to master. It's not as attractive as creating fun campaigns, but it's crucial to customer success and business growth. By defining necessary information, establishing baseline requirements and improving transparency, marketers can maximize their data's potential. Shannon Duffy is VP-marketing at Salesforce's Data.com. She can be reached at sduffy@salesforce.com. Are Cell Phones to Blame For The Dwindling Magazine Business? Love it or hate it, the print magazine business is continuing to dwindle due to its collision with the increasingly popular smartphones. Last year magazine circulation in the US dropped 9.5%, and some of the blame can be attributed to smartphones. Here's the explanation: According to the Alliance for Audited Media, people have stopped paying attention to the magazines on the impulse-buy racks at supermarkets. While waiting in line at checkout, instead of looking for what other stuff to put in their cart, customers often prefer to just take a look at their phones and do whatever the do with them. It seems the market watchers have identified this phenomenon as "mobile blinders," as it makes consumers "blind" to certain types of products. 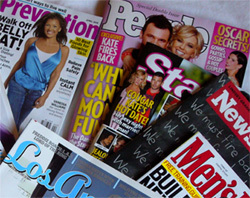 Some popular magazines have seen quite a drop in sales last year. Cosmopolitan, for example, has recorded a drop of 18.5% in single copy sales. Other publications that have registered significant loss of circulation include People and Star. Well, what can we say? Those publishers better start working on their digital versions, because that's where things are headed! Tuesday March 12, 2013. Nets vs. New Orleans 7:30 PM. archetypeme.com - Discover the real you. Take the quiz and discover your archetypes. Then Get a personalized website featuring all the stories & stuff you love. tapiture.com - Discover the best content on the internet. Tapiture is a place for people with shared interests to engage in awesomeness. studyblue.com - An online place to store lecture notes and make flashcards. Study online and on your phone for effective, productive learning. chatsports.com - Provides the web’s first curated sports interface personalized to each fan’s specific interests, using next generation technology and an intuitive, beautiful design. sondcloud.com - An audio platform that enables sound creators to upload, record, promote and share their originally-created sounds. documentaryon.com - A collection of the most interesting documentary movies on the web. The documentaries are arranged to give the best experience possible. teacherswithapps.com - A Resource Site for Quality Educational Apps.